10% Off All Rennline Products! Rennline is an industry leader of unique, high-quality components covering suspension, interior/exterior accessories, electrical, safety, engine, transmission and more! Choose your favorite Rennline accessories and receive 10% off by entering RENN10 at Step #5 during Checkout. Click Here for Rennline Products! 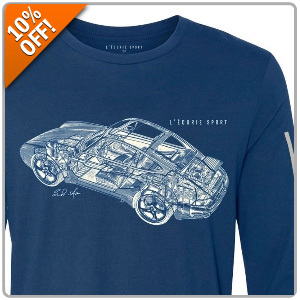 10% Off All L'Ecurie Products! The L'Ecurie Paris Classic Sports Collection is a fusion of classic style and modern apparel, combining the detailed art of Shin Yoshikawa with an updated aesthetic. Now you can receive 10% off by entering STYLE10 at Step #5 during Checkout. Click Here for L'Ecurie Sports Collection! Take 10% Off M7 Speed Products for Your MINI! Are you ready to upgrade the performance and looks of your MINI? Take advantage of this limited time offer and tune your ride with quality performance products by M7 Speed! M7 products are designed, tested and manufactured in the USA ensuring a perfect fit and finish. Shop Gen 1, Gen 2 and Gen 3 performance products for your MINI today and for limited time we'll apply a special discount when you enter promo code M710 during Step #5 during Checkout! Click Here for M7 Products! 10% Off ALL Rennline Products & FREE Brake Fluid w/ Motive Power Bleeder! 10% off all Rennline Products & FREE Brake Fluid with every Motive Power Bleeder! 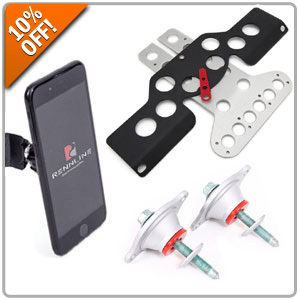 10% Off ALL Rennline Products for your MINI at Pelican Parts! 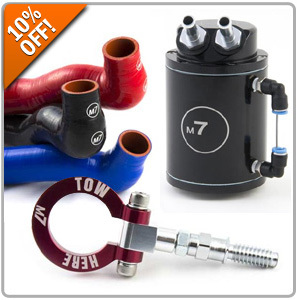 Quick Reply: 10% Off All Rennline, L'Ecurie, & M7 Products!